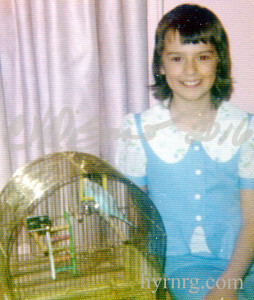 For my own personal understanding that urged my research into the afterlife, one of the earliest experiences I recall was when my first pet, my parakeet, died. At 9 or 10 years old, I buried him in my back yard in an empty envelope box my Grandfather gave me. I wrapped him in tissue after I stared at his lifeless stiff body wondering where he went. I wish I could remember his name. Well later on, I cannot recollect how long after, whatever I was thinking, I wanted to see if I could find out where he went. Did the earth swallow him up? How could he be buried down into the ground and go up to heaven? His wings did not work anymore. So I dug him up. The cardboard was wet and torn and the tissue absorbed into the earth. I found fragile little bones with fragmented feathers barely hanging on. It made me feel even more sad to find him in this position than the way he was when he passed away. My point is, ever since then, I have always had this fascination to make the afterlife my quest and as I grew up, I attracted more and more experiences like this to explore. Was this what my soul planned? I have collected information and researched findings from many authors. The ones that have the most profound effect on me are the 19thcentury spiritualists who claimed to be shown the afterlife. There are a lot of books written about these authors visits in the afterlife; some had come out of a trance like state to tell about it. What is more intriguing is that regular people who actually did die on the table of hospital surgical rooms or in accidents and so on, who were pronounced dead, came back to tell their stories that similarly matched what these 18th and 19th century writers expressed about the afterlife. Swedenborg is an 18th century mystic and seer and I think he is by far the most compelling to me. You can get many of his books as free PDF’s or Epub downloads at Swedenborg.com. Here is Swedenborg’s bio from Wikipedia. Emanuel Swedenborg born 29 January 1688; died 29 March 1772) was a Swedish scientist, philosopher, theologian, revelator, and mystic. He is best known for his book on the afterlife, Heaven and Hell (1758).Swedenborg had a prolific career as an inventor and scientist. 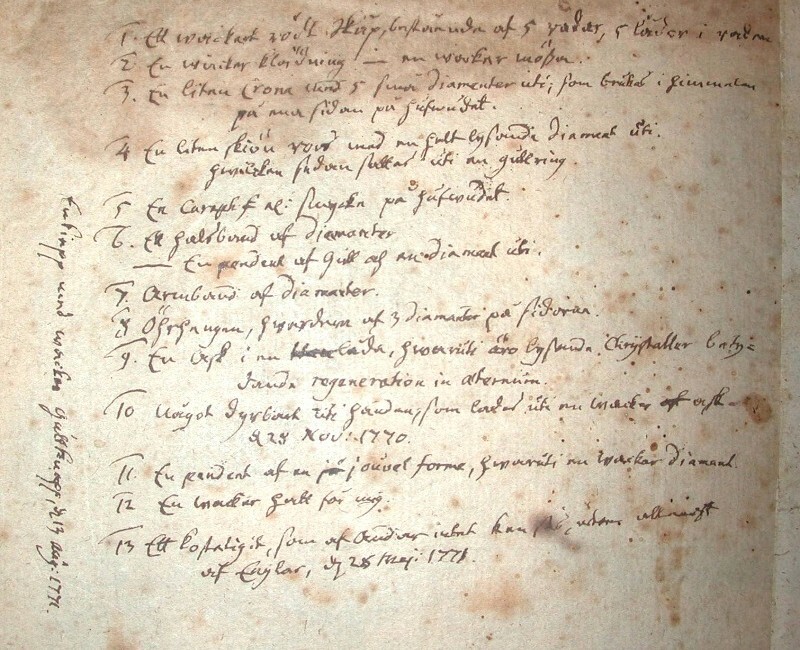 In 1741, at age 53, he entered into a spiritual phase in which he began to experience dreams and visions, beginning on Easter weekend of 6 April 1744. This culminated in a ‘spiritual awakening’, in which he received revelation that he was appointed by the Lord to write The Heavenly Doctrine to reform Christianity. 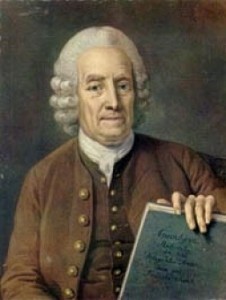 According to The Heavenly Doctrine the Lord had opened Swedenborg’s spiritual eyes, so that from then on he could freely visit heaven and hell and talk with angels, demons and other spirits; and the Last Judgment had already occurred, in 1757.For the remaining 28 years of his life, Swedenborg wrote eighteen published theological works, and several more which were unpublished. He termed himself a “Servant of the Lord Jesus Christ” in True Christian Religion, a work he published himself. Some followers of The Heavenly Doctrine believe that, of his theological works, only those which Swedenborg published himself are fully divinely inspired. It hasn’t been that long since I have discovered Swedenborg’s work; I found his teachings about a year ago through the Swedenborg Foundation. Great videos on You Tube as well called, Off the Left Eye. He matches just about everything that has resonated with me from my years of metaphysical research. Even things that modern reputable channeler’s speak about in this day and age; those things you may question without discernment, matches along the same lines as this 18th century seer. Born in the 1700’s, he writes to fit his times yet the translations of his books distinctively illustrate his truth. Apparently the laws do not change much in the Spirit World or time is just irrelevant in our world compared to the otherworld. The teachings that resonate with me in his book called Heaven and Hell, explains that the earth is surrounded by a spirit world and we are guided and helped during our transition out of our bodies when we die. In my own words, Swedenborg teaches that heaven and hell is a state of mind, however, a very real place in the afterlife; our state of mind matches what is “truth” within us. Heaven would vibrationally match what we believe as good and hell would vibrationally match what we believe as evil and false. When we realize our truth whether good or bad, we find ourselves lifted into heaven or cast into hell because both of these states are within us. This realization takes place right after death when we find ourselves in the “in-between,” as the elemental kingdom speaks of. Swedenborg calls it the world of Spirits, a halfway place between heaven and hell. I feel that when we die, where we end up is going to be based on the beliefs we hold. So a person with a higher level of consciousness may bypass the in-between and go right to a state of heaven and bliss. It is not at all about the good deeds we do, because there is falseness that lies within the intention of these deeds. This is what Swedenborg refers to as our intellect and will. He says soon after we arrive in the afterlife we are sorted out by the Lord. Souls who were evil in the world are immediately connected with the hellish community and loving and thoughtful people are immediately connected to the heavenly communities. In my mind this means we attract what we put out, like minds attract like minds. Our consciousness does not change as soon as we pass into the spirit world; it remains yet expands because we are now energy. We no longer carry the weight of matter. He says we can still communicate with one another, even to those in different realms including the physical world. Yet we may not recognize someone because we have changed when we have moved out of the in-between and only in likeness of love will we remember someone who we once connected with in the physical life. He says that we will recognize each other at first if we are together in the in-between because this world of spirits is similar to earthly life. When we move beyond that, if the vibrations of one another do not match in love, we no longer recognize one another. Swedenborg discusses so many topics he has witnessed and has written about in his books and really does provoke food for thought. For me, disregarding any fear of death. I feel if we have the awareness of these states we go through upon death, we may decide to work on ourselves now, don’t you think? What are your beliefs? Does Swedenborg’s take on what happens immediately upon death resonate with you? Do you believe Heaven and Hell are within YOU?